Releasing the Magic! 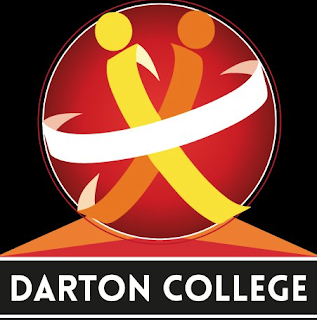 : DARTON COLLEGE AND 'BETTER LEARNERS, BETTER WORKERS: MADE IN BARNSLEY' WORKING TOGETHER! DARTON COLLEGE AND 'BETTER LEARNERS, BETTER WORKERS: MADE IN BARNSLEY' WORKING TOGETHER! I was at Darton College again this morning... 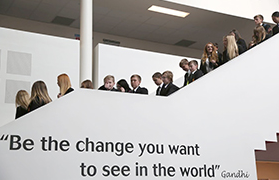 I was there to meet Dave Bond who had managed to get a group of Y9 students together, who were interested in finding out more about the 'Better Learners, Better Workers: Made in Barnsley' programme, after the introductory assembly Sarah Ward and I ran for the whole yeargroup. I talked to the students and explained the approach, the programme and the opportunities and challenges ahead for any students interested in working with us over the next two years. And once again, the young people were a real credit to Darton College; they listened well and asked some really interesting questions. Their behaviour and attitude throughout the session, showed the work the team put in to make the College such a great place for learning. Let's hope that a good group return a completed application form on Monday so that Dave and his colleagues can short list students for us to interview next week. We can then select a fantastic group of young people to be Darton College's first BLBW: MiB Ambassadors. Exciting times!